Foreign, or external, debt includes funds that a country or its residents owes to other countries or international institutions. This includes fees for goods and services or outstanding credit that needs to be repaid, with or without interest. This is known as gross foreign debt. 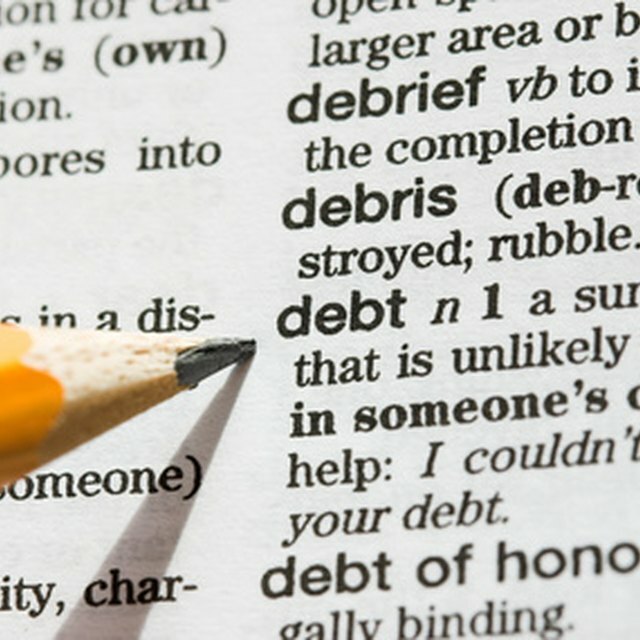 The International Monetary Fund (IMF) defines net foreign debt as the difference between gross foreign debt and gross foreign claims, bearing in mind that usually, but not always, they are the same thing. Foreign debt includes all financial obligations by residents of a country to residents or institutions of other countries. The IMF distinguishes among four main sectors in a country which contribute to foreign debt: government and its ministries or local authorities; monetary authorities, such as the central bank; the banking sector; and other sectors, such as households or non-financial organizations. Countries and their residents or institutions borrow from other countries or institutions when it is cheaper or easier to obtain funds abroad than at home. They do it to boost production, by investing in new factories or raw materials. Another reason is to buy commodities they do not produce, such as oil or certain types of food. Countries also borrow abroad to finance other imports, improve their security or overcome economic problems caused by wars or natural disasters. There are two basic ways for countries to lower their foreign debt. One is by simply repaying their obligations, including interest, when they are due. Loans can be repaid if they were invested in well managed, profitable projects. Alternatively, countries can lower their debt by taking out new loans, when market conditions are more favorable, in order to pay back old ones. While foreign debt includes money a country owes to other countries or international institutions, national debt is everything a government of a country owes to anybody, including both foreigners and its own citizens. Additionally, not only countries with foreign debt are known as debtor nations. Investopedia defines debtor nations as those that have invested fewer resources than the rest of the world has invested in them. The United States is the world’s biggest debtor nation, and it has the largest foreign debt in the world. According to the CIA World Factbook, in 2009, its net foreign debt was almost $13.5 trillion, followed by the United Kingdom, with over $9 trillion in foreign debt.